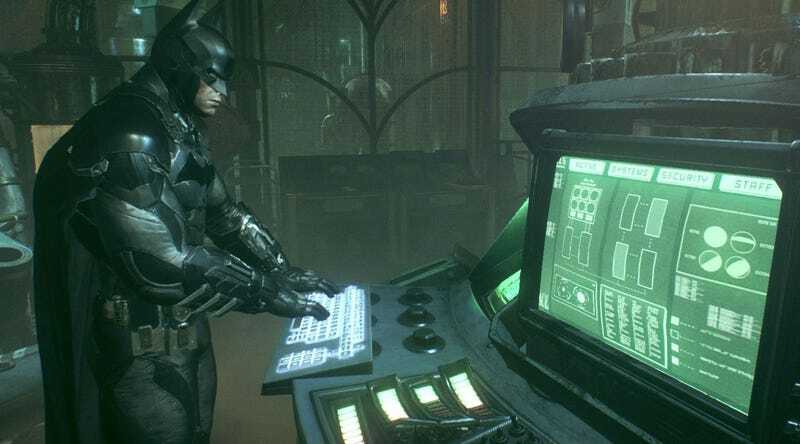 Publisher Warner Bros says they’re taking the drastic step of suspending all sales of Arkham Knight on PC until the game’s technical woes can be addressed. Wow. Drastic and almost unprecedented, but given the state the game was in, welcome. Note just how severe a move this is: not only are they taking one of the biggest games of the year off the (virtual) shelf, but they’re giving you clear instructions on how to get a refund. UPDATE: The game has now been removed from sale on Steam. It’s store page listing remains, but customers are unable to add the game to their cart. Despite Warner’s statement, at time of posting we were still able to purchase the game from Steam. The game had disappeared from all promotional places and new release charts, but a search would still bring you to the game’s store page.